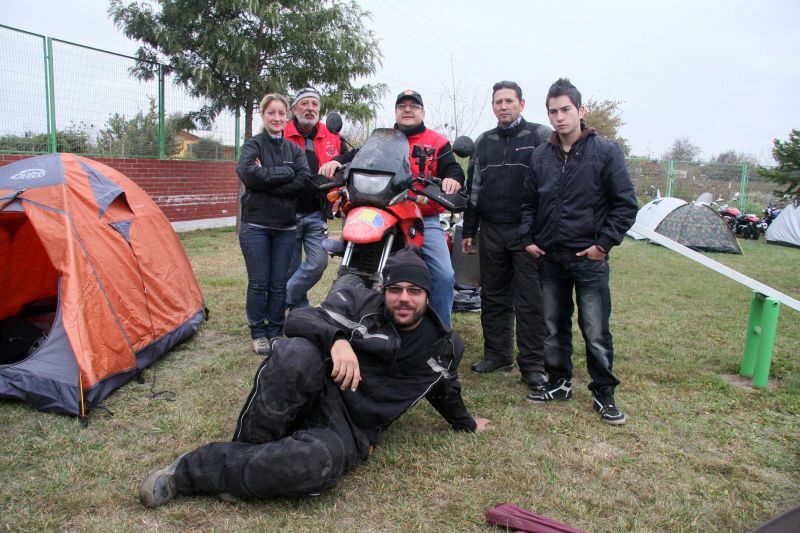 After Osorno we changed our heading towards East, in order to get to Argentina. After 25km there is an interesting auto museum, some saying it is the only of such kind in Chile. The collection includes various cars, mostly American models from the ’40s-’60s era, with a focus on Studebaker brand. In addition to this, there are various other vintage articles exhibited there: radios, cameras, toys, camping gear and even a road simulator. In the backyard, the vehicles awaiting restoration can be also visited. 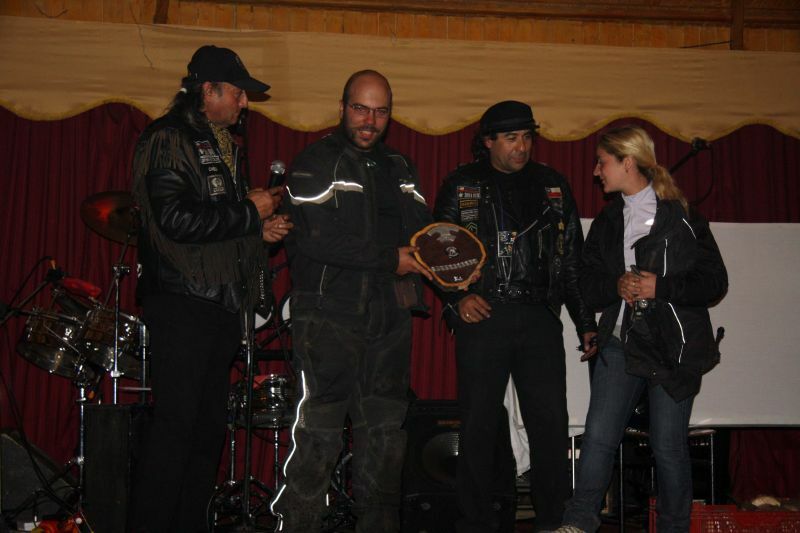 From the bikers we learned about this museum, located in the city of Temuco. The museum was closed for repairs, since this year’s earthquake affected some buildings (lightly). However, we managed to find a hole in the wall and got inside to capture some photographs. The cars are located in the yard, showing various degrees of conservation and/or repairs, while all of the locomotives are inside the old depot. More info here. We were some 100kms South of Santiago, stopped at a gas station having a snack. A biker with a R1200GS stopped and we began talking. This way we learned about a mc encounter that was taking place not far away. We decided to go see what was going on. 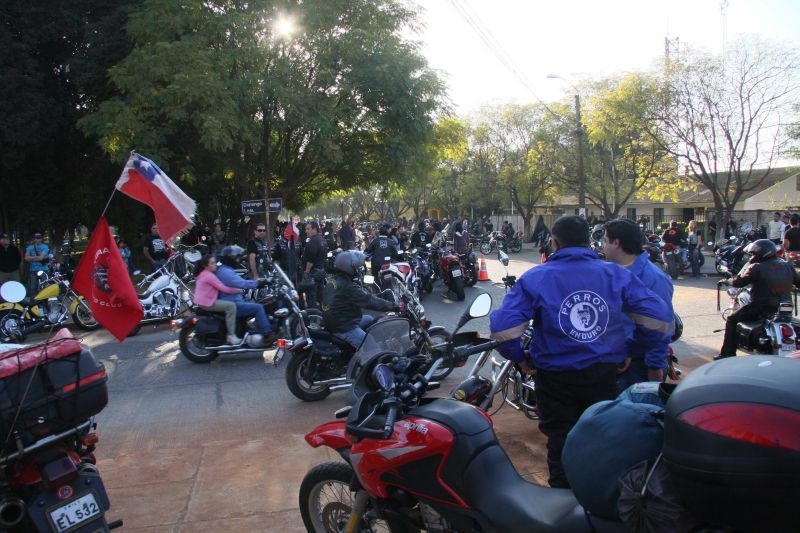 The meeting was being hosted by Caballeros Negros MC and attended by more than 400 bikers. 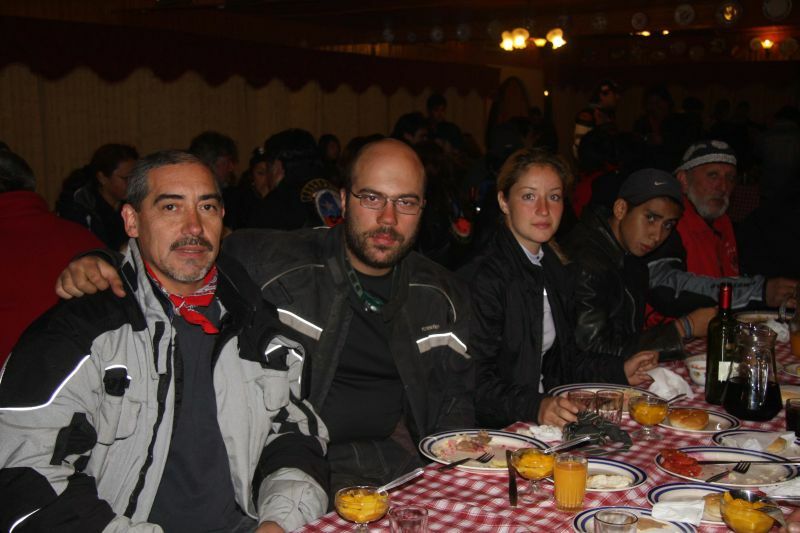 We hang out mostly with the friends of the guy who invited us there, who were from the Perros Enduro and TPLC clubs. At some point the organizers invited us to the scene to be presented to the crowd, then they gave us a diploma and a handcrafted prize to remember about this event. Thanks again for such wonderful treatment, guys! The included video depicts the Chilean national dance. Serving (with it’s 95 stations and over 100kms of track) most areas of greater Santiago, the metro system is a convenient way to travel around. Since most lines have been opened recently, the stations and trains feature mostly a modern/industrial design. Some lines go along with boulevard or freeways at ground level, while others are underground or elevated above streets. This is one of the biggest parks in Santiago. Taking advantage of the hilly terrain, the designers installed here a funicular system (as early as 1925; also famous for being used by Pope John Paul II in 1987 for visiting the religious site on top of the hill) and a gondola. There are many bike paths, playgrounds, picnic areas, observation points and even a zoo.